Every single business owner should think about investing in commercial cleaners in Hoover, AL whenever they want to maintain the establishment clean and presentable at all times. When you are hesitant on using the services of the experts, here are some of the top reasons why you must acquire commercial cleaners to clean your business establishments. 1. Keep The Workers Safe - first of all, the security of your own employees must be into the top list. Keeping your workers protected from danger is essential to your success. Sacrificing the safety of your workers could make you lose your employees either from illness or perhaps via resignation. 2. Customers are essential - employing a commercial cleaner will help you keep the clients safe. Client safety should also be your concern since they are the individuals who help you to profit from your business. In the event your clients are exposed to dirt, dust, and contaminants, then you will most likely lose some of them sooner or later. 3. First Impressions Will Last - a nice and clean commercial establishment could make and leave a good impression to your clients. Always bear in mind that first impressions always last especially when you are beginning with your business. 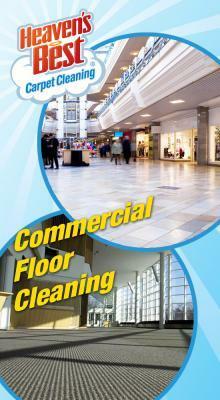 Whenever possible, maintaining cleanliness within the commercial business should be done all the time. 4. Maintenance of the Establishment - professional cleaners can promise quality cleaning services. Essentially, the professionals know cleaning by heart mainly because they have plenty of experience, knowledge, abilities, and also the correct equipment for the job. Hiring them would allow you to preserve your business with very much success. 5. Heavy Traffic - in contrast to home cleaning, commercial cleaning services are very important since you are dealing with heavy foot traffic. Contrary to home cleaning, you are coping with numerous things on the carpet or perhaps any surface inside the commercial building because of the large number of customers as well as employees within the building. Heavy traffic calls for severe cleaning expert services to keep the spot clean and disinfected. As an entrepreneur, commercial carpet cleaning in Hoover, AL is crucial to be able to keep the establishment clean, presentable and comfortable. If you are reluctant due to the financial investment, think about the five factors above why you need to consider spending on commercial cleaners. Wise business owners always get the best for their customers especially if they get substantial advantages over time. So, give Heaven’s Best Carpet Cleaning a call today at 205-618-9150 and let the professionals help you get started maintaining the cleanliness of your work environment with a long term management plan that will benefit your business for many years to come!